An enhanced visit to the grocery store is what invigorates us at Henderson’s. We wish to introduce you to new products, encourage our local producers and maintain a stock of commodities and varied merchandise that satisfies all your current household and food needs. All this, in a warm and friendly atmosphere! And we have lots of products! 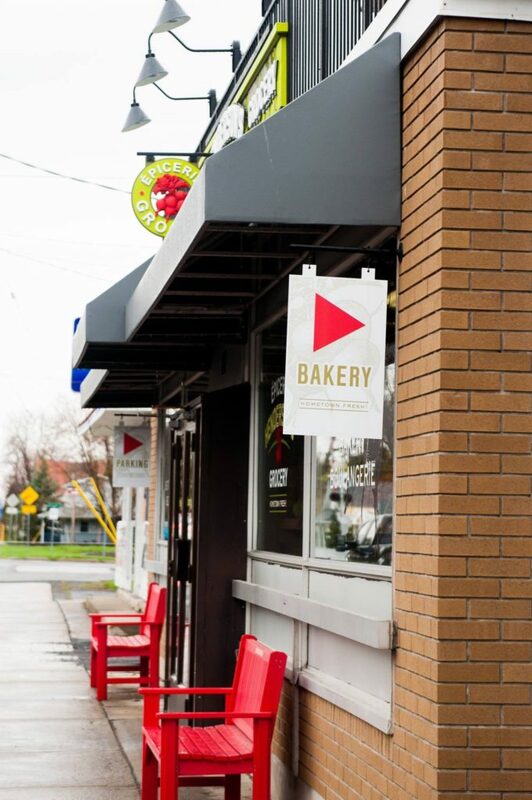 We have our bakery on site. Fresh bread every day, baked goods and more will tease the senses. In traditional style, our butcher offers a very personalized service. Our grocery store offers a wide variety of fruits and vegetables. Taste the meals from our rotisserie counter for a quick dinner. You will find here many cheeses, including the delights from our region. Specialty products from recognized brands are also available here. Our small café-boutique welcomes you with great pleasure. Come taste our novelty items, delicious prepared dishes and pastry items, all made with a smile. Enjoy our lovely summer terrace. When grocery shopping makes us happy … It is all about freshness here!